Net-a-Porter knows its audience wants a shopping experience to rival an issue of Vogue, with luxurious packaging and elegant content. The brand fared well across all channels, but received the lowest marks in email in the Top 10. Its website onboards new customers with a seemingly endless list of the 800 designers sold on its website. 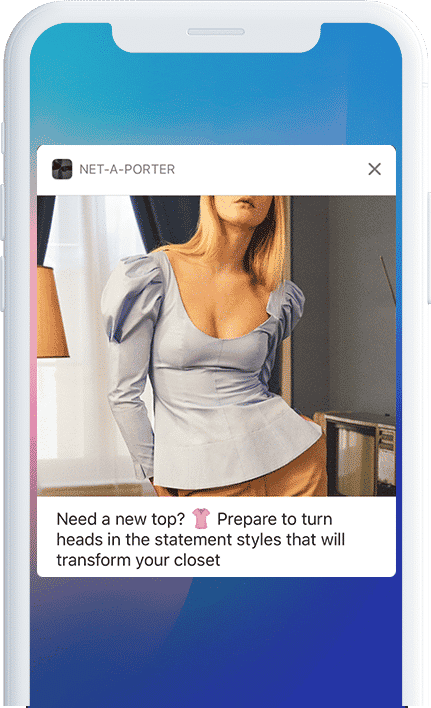 Rather than a tedious onboarding task, Net-a-Porter’s audience visits the site with their favorite designers in mind, traversing the list like fashion experts to be notified about their favs. The luxury e-retailer reported in 2018 that it would double its digital editorial efforts and continue to translate all of its features into four languages. Its magazine, The Edit, was recently rebranded and the brand’s main app now features all of its daily content, eliminating an extra app for the blog and magazine. The brand treats its products and content like a craft, with an editor’s note on each item page to explain what the designer has created recently and upcoming news. Net-a-Porter’s ‘how to wear it’ curation-based recommendations are cutting edge, offering thoughtful pairings of accessories and staples to accompany any item. Net-a-Porter knows that its high-end shoppers value editorial. 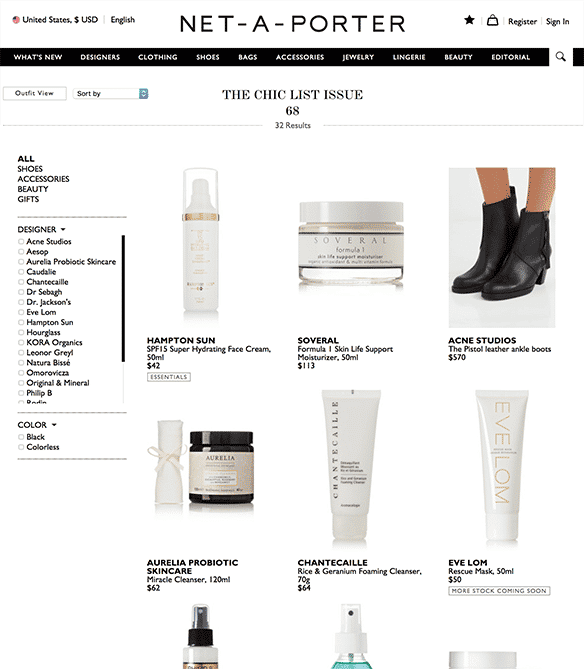 Its excellently curated content on “The Chic List” takes into account what a customer browses and suggests relevant, curated products in a listed roundup of products that improves with a shopper’s engagement. Net-a-Porter’s intelligent “Complete the look” and “How to wear it” recommendations help shoppers complete any outfit, recommending accessories to accompany a top or items that pair well together. Net-a-Porter’s stunning editorial content seamlessly carries over to mobile with well-timed push notifications showcasing product recommendations, curated items and gallery-style fashion inspiration from the runway.